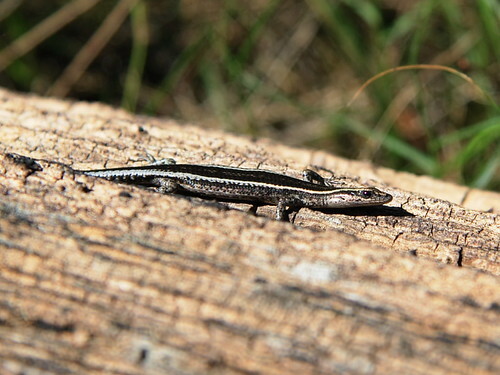 Can you confirm these amateur observations of Cryptoblepharus virgatus? Diagnosis Diagnosis. 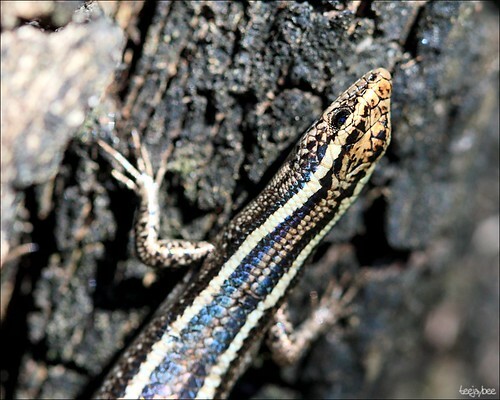 A small (<40 mm SVL), short-legged, shallow-headed, arboreal Cryptoblepharus, distinguished from Australian congeners by combination of modal values of ﬁve supraciliary scales, 22 mid-body scale rows, 47 paravertebral scales, and eight plantar scales; mean values of hindlimb length 41.0% of snout-vent length, and head depth of 38.2% of head length; plain, rounded, pale plantar scales; smooth subdigital lamellae; continuous, smooth-edged, narrow pale dorsolateral stripes; greyish ground colour, and arboreality. Comment Synonymy after HORNER 2007. Similar species: C. (boutoni) pulcher has been confused with Cryptoblepharus virgatus. Distribution: former reports (from Indonesia, incl. Babar, Damar and Tanimbar Islands; S Irian Jaya; introductions to Bogor, Java) are in error.